Love Jack Reacher Books & Movies? Me Too!LoveJackReacher.com | HUGE Fan of Jack Reacher Novels (And Movies)? You're Welcome Here	Love Jack Reacher Books & Movies? Me Too! 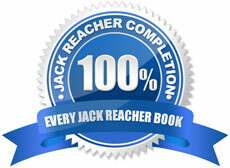 Love Jack Reacher Books & Movies? Me Too. If you have only read one or two Jack Reacher novels so far and you’re hooked and you’re here to figure out how to read the rest, this list will help. Praise or whinge about the Jack Reacher movies. Check the photos of the 2010 Jack Reacher look-a-like competition to see if he matches your mental image of Jack Reacher.